Our goal is to ensure a functioning federal judiciary that can act quickly and fairly to uphold core Constitutional matters as well as mobilize and educate citizens on matters of legal justice. Educate the public and our elected officials about the importance of federal judges who sit on the U.S. District, Circuit and Supreme Courts. Provide information about the judicial nominations process and the records of judicial nominees who will impact our Constitutional values and fundamental rights. Mobilize our communities to speak out and take action on the President’s federal judicial nominees. 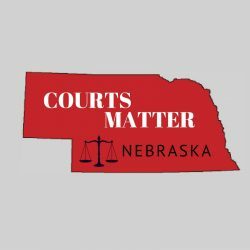 The Courts Matter Coalition of Nebraska monitors and takes action on federal judicial nominations because of the immense power held by the individuals who hold lifetime seats on the federal bench. The federal courts are the final arbiter when it comes to the rights of all Americans. Therefore, the composition of these courts, and the nominations process that determines this composition, affects every issue that is important to American citizens. Much of our daily lives are affected by rulings that come down from federal courts. Our human rights, Constitutional rights, workplace rights, and so on can all be affected by these rulings. What is the judicial emergency? Currently, over 35,000 cases are in the federal court backlog due to the nationwide judicial vacancies. Texas and Pennsylvania have the largest amount of vacancies. Despite consistent nominations of judges to fill the vacancies, appointments aren’t taking place. In fact, many Senators are blocking their own judicial nominees. Republicans in general are the ones blocking these appointments – this is because they want to wait for a Republican to take the White House so that these cases are more likely to be ruled on in accordance with the Republican ideology. If Senators worked cooperatively, the judicial vacancies could be filled within a matter of months. The President of the U.S. nominates candidates for the federal judiciary and the Senate “advises and consents” on each nomination. When the Senate receives a nomination from the President, it is referred to the Senate Judiciary Committee, which investigates the nominee’s background, holds a hearing, and votes to determine if the nomination should move forward to the full Senate for consideration. When a nomination reaches the floor of the Senate, Senators who oppose the nominee may decide to debate the nomination indefinitely. This means of preventing a vote is called a “filibuster”. It takes 60 votes to end debate, or “invoke cloture”, or conversely, 41 votes to prevent a vote on a nominee. Confirmation of a nominee requires a simple majority, 51, of those present and voting. In recent years, some members of the Senate have tried to change the rules to prevent a filibuster on judicial nominations, forcing a simple confirmation vote. This effort, known as the “nuclear option”, was not employed, however, due to a compromise reached by the “gang of 14”, a group of Senators from both parties who agreed not to change Senate rules in exchange for the confirmation of several judges who had been filibustered. The federal courts consist of three tiers: the district courts, also known as trial courts; the circuit courts, which are the courts of appeal; and the Supreme Court, which has the final say on any lower court decision. The federal district courts are the trial courts of the federal court system. Within limits set by Congress and the Constitution, the district courts have jurisdiction to hear nearly all categories of federal cases, including both civil lawsuits and criminal matters. There are 94 federal judicial districts, including at least one district in each state, the District of Columbia and Puerto Rico. Each judicial district has one or more federal judges. District court judges are appointed for lifetime terms and follow the same confirmation process as circuit court and Supreme Court nominees. The U.S. is divided into 12 circuits, or regions, each with their own court administered by judges who hold lifetime seats. Collectively, these circuit courts, or appeals courts, hear about 30,000 cases per year, including those cases that are appealed from district-level courts. Because so few cases are taken for review by the Supreme Court, federal appeals court judges wield tremendous power. If the Supreme Court turns down an appeal, the decision is left to the federal appeals court and judgments are applied to all the states in the circuit. Since circuit court cases are typically decided by a three judge panel, the individual opinions of each judge on the circuit significantly impacts the outcome of a case. The U.S. Supreme Court is the highest of the federal courts and has the final word on appeals from the federal circuit courts. The Supreme Court hears only about 80-100 of the roughly 7,000 cases appealed to it each year. The Supreme Court’s nine justices are appointed for lifetime seats. They are nominated by the President and confirmed by the Senate, following the same confirmation process as that for the circuit and district court judges. How can I find my federal courts? What are some major issues that the federal courts deal with? Please consider taking a few minutes to write an email, postcard or letter to both Senator FIscher and Senator Sasse, to let them know you care about the federal courts and who sits on them. As our U.S. Senators, Senator Fischer and Senator Sasse have a constitutional responsibility to “advise and consent” on the President’s nominations to the federal bench. But this is an issue they don’t hear about very often from their constituents — and it’s important that they know that we care! 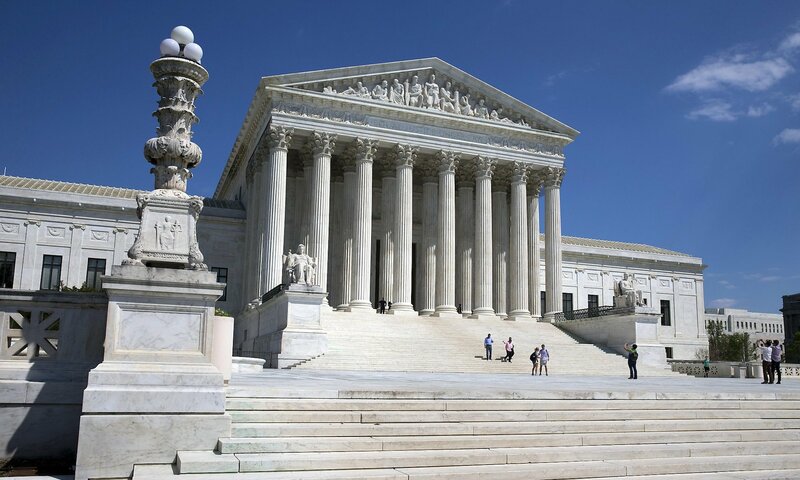 The American judicial system is in crisis because of the high numbers of judicial vacancies. The Senate has a constitutional duty to get the courts running at full capacity. I urge you and your colleagues in the Senate to move quickly to confirm qualified judicial nominees, to ensure that Americans have meaningful access to justice. The Leadership Conference on Civil and Human Rights has provided some additional talking points here you might consider including. But the most important thing is that you write what feels comfortable to you. Be sure to print your name and address (so they know you’re a constituent). You can find the senators’ mailing addresses below.